Day three was all about soaking up epic saxophonist Kamasi Washington with his band from Los Angeles during their last Australian show for 2016. To see a jazz/funk band of this quality and diversity in Australia is a real treat and must be embraced if you like this genre. Each incredible musician on tour with Kamasi was given plenty of stage time to showcase their unique contribution and own original material with respectful introductions from Kamasi explaining how they met. It was a real neighbourhood affair with childhood friends and Kamasi’s father all on stage. Some have been friends before they had even picked up an instrument. The arrangements were intricate, full of detail, embracing difficult time signatures, highlighting the fine pedigree of these musicians who mix with jazz royalty back in their homeland. 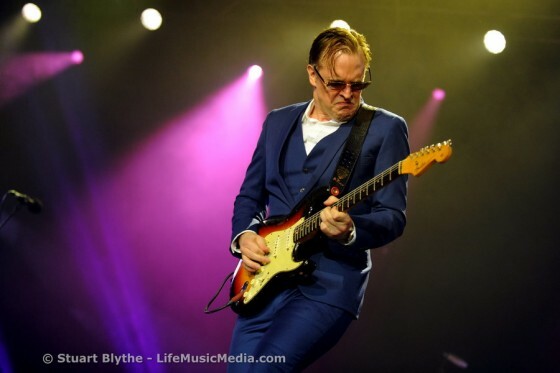 2016 BLUESFEST – Additional Artists Announced! Including The Mick Fleetwood Blues Band, Eagles of Death Metal, Playing For Change Band and more! Bluesfest, one of the most exceptional and highly awarded music festivals in Australia, is giving the nation a brand new artist announcement, including renowned artists from overseas and our home shores.